Chicktime San Antonio is proud to work with the teen girls at Boysville. Contrary to its name, Boysville serves both boys AND girls! 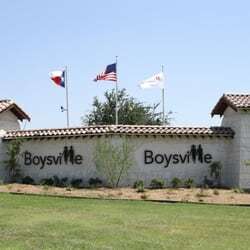 Founded in 1943, Boysville provides a comprehensive residential program of service to children and families of Texas. Residents range from infancy to age 23. They accept children referred by TDFPS that are physically, sexually and or emotionally abused, neglected, homeless, or who have minor behavior problems at home or at school. They also accept private placements of children whose families are in crisis as a result of illness, unemployment poverty, etc. Thier commitment to excellence stems from the true passion behind the work done at Boysville. The more the staff betters themselves, the more they can help children and their families. For that very reason, they continue to develop, evaluate and improve their performance. When they operate as the very best, they can give the children they care for the very best. A major component of Boysville’s program to help boys and girls become successful adults is the Boysville Transitional Living Program. It is designed to assist children throughout high school and beyond. Through the Boysville scholarship programs, high school graduates are assisted through college or vocational training. Currently, Boysville has 13 students attending six different colleges and technical schools. Boysville has been able to serve the San Antonio community for 73 years and will continue to move forward. The will continue fighting to break the cycle of abuse and neglect in families while preparing children for success in adulthood. If you would like to donate any of these items, please contact the Administration Office directly at 210-659-1901 or visit them online at boysvilletexas.org!